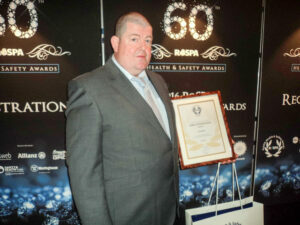 Martin Seal, rigger and Representative of Employee Safety for TEi Limited seen at the RoSPA Awards Ceremony 2016 at The Hilton Metropole Hotel, NEC Birmingham. 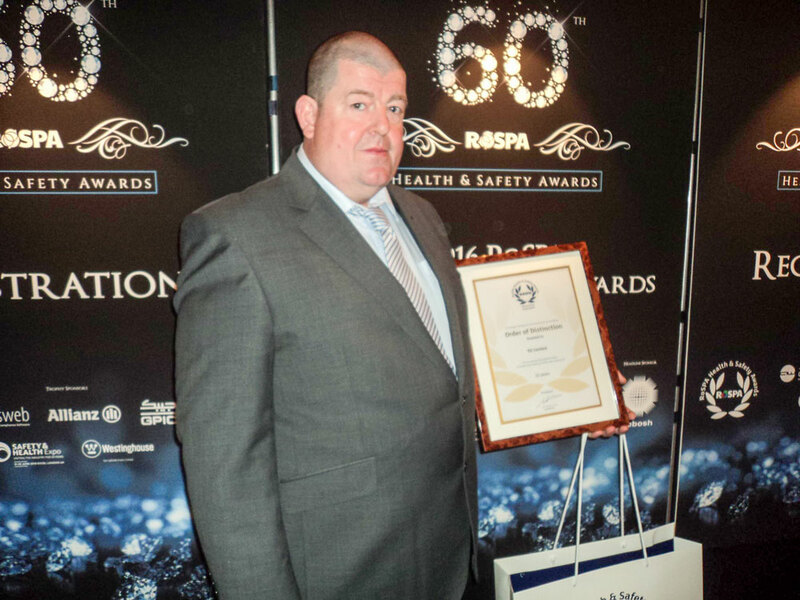 The company was recognised by RoSPA as meeting the Gold Medal standard for the 22nd consecutive year and thus presented Martin with the ‘Order of Distinction’. Martin received this award on behalf of all employees and was keen to share his view that the ceremony was attended by many other nationally recognisable companies including three of our own clients who picked up their awards immediately after TEi Limited. Congratulations to all who contributed so much to this award!